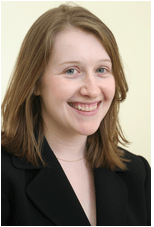 Danielle Kraus Tarka is a Senior Fellow at the National Center for Science and Civic Engagement. She has served in various capacities as a member of the NCSCE staff for 13 years, ending her tenure as Director of Programs and Operations. She earned her bachelor’s degrees from the Pennsylvania State University and completed a nonprofit management executive certificate program at Georgetown University.